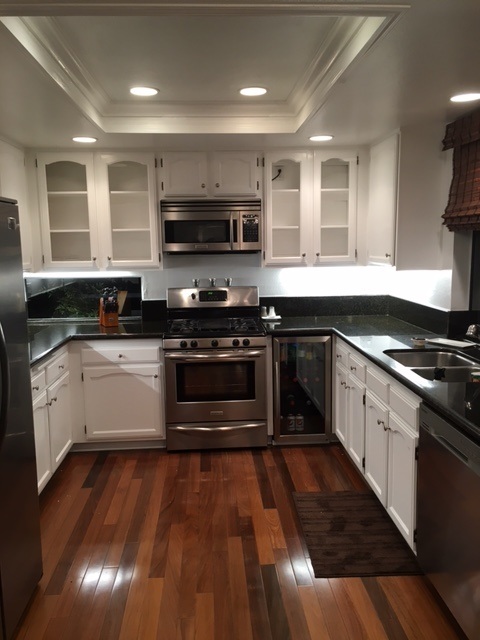 A home in Mission Viejo gets a kitchen refinish and updating. 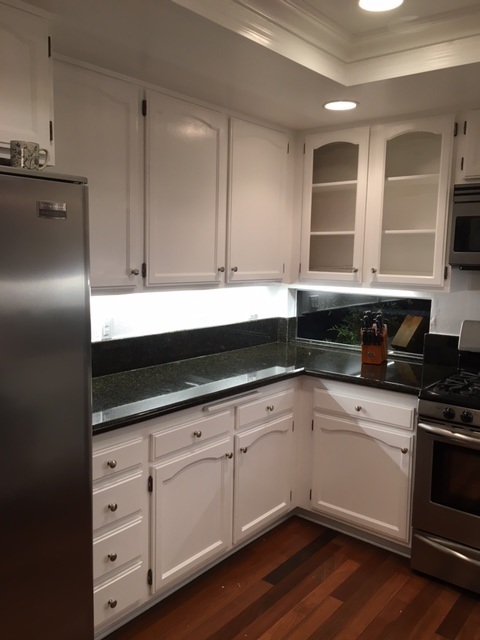 Although the kitchen was already painted white, it was originally painted by the owners about 20 years ago. 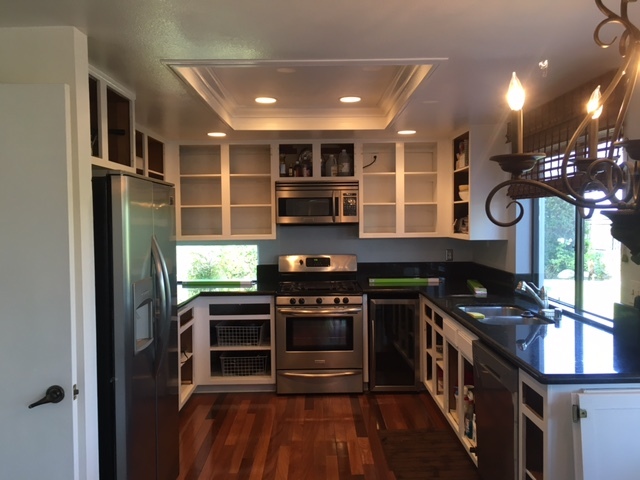 The owner had removed all of the doors and drawers, and removed all of the hinges to help with the project and save money. 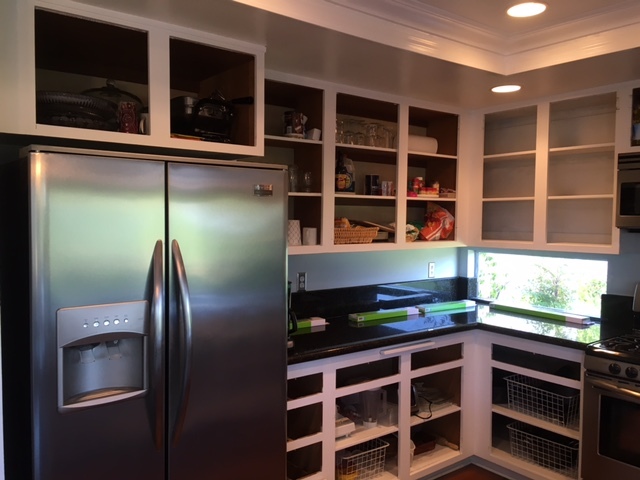 4 of the doors got the center/middle panel removed, for glass panes to be inserted. 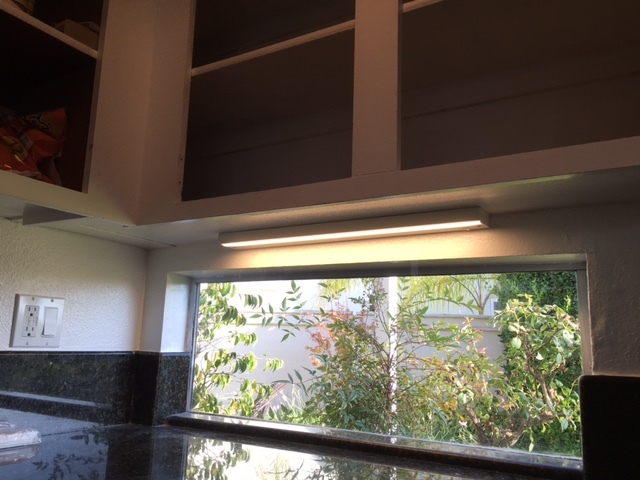 LED under cabinet lighting installed.